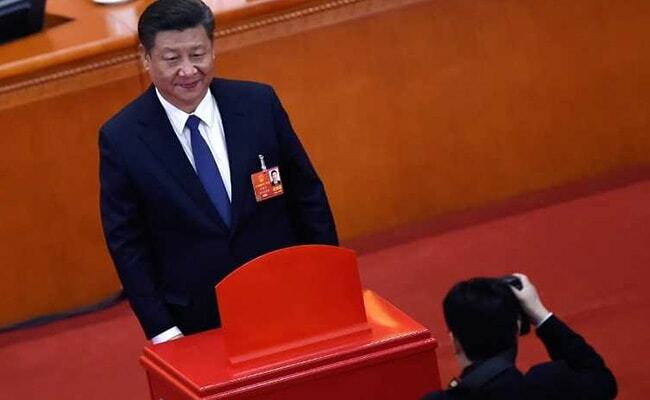 On Sunday, China's rubber-stamp parliament endorsed Xi Jinping's move to abolish rules limiting the head of state to 10 years in power, paving the way for another potential title: President for Life. On Sunday, China's rubber-stamp parliament endorsed Xi's move to abolish rules limiting the head of state to 10 years in power, paving the way for another potential title: President for Life. Since taking over the Communist Party in 2012, Xi has steadily tightened his grip on virtually all aspects of the party, state apparatus and even how China's citizens should think. Along the way he has accumulated an array of increasingly fawning titles to justify this one-man power grab. It can be difficult to keep track of them all, but here are the key titles, honorifics and other heapings of praise that Xi will struggle to squeeze onto his crowded business card. In a one-party state, this is the most important title in the land. Bestowed upon Xi in 2012, it gave him control over the world's most populous country and is the crucial springboard from which he launched his push for even greater power. He has not looked back. This term is actually not used in Chinese, as all power flows from leading the party. But China introduced it for foreign consumption decades ago to provide the world with a familiar term to use and give the veneer of a state -- rather than purely party -- leader. Mao once said "power grows out of the barrel of a gun" and the chairmanship of the world's largest armed forces -- also assumed by Xi in 2012 -- is considered the all-important muscle backing up the party chief's power. This term, roughly translated as "Big Uncle Xi", emerged soon after he took power and was amplified by state media and party organs to promote him as a warm-and-fuzzy father figure. Xi's official titles are nice, but "core leader" of the party -- which he was declared in late 2016 -- puts Xi in historic company. Only Mao, Deng Xiaoping and Jiang Zemin have been thus anointed, which essentially makes the bearer unassailable in the party. Following the Communists' high-stakes party congress last October, Xi began to be referred to in government meetings and state media as "Lingxiu", a reverential terms with spiritual connotations. The last person so honoured was Mao himself, confirming Xi's designs on Mao-like levels of adulation. Also on Sunday, the parliament approved the addition of Xi's guiding political philosophy -- Xi Jinping Thought on Socialism with Chinese Characteristics for a New Era -- into the nation's constitution. Mao and Deng are the only other leaders to have their names alongside their guidelines in the constitution. Party apparatchiks have fallen over themselves to offer praise for the ascendant Xi at the ongoing parliament meeting in Beijing, but a delegate from Qinghai province -- birthplace of the Dalai Lama -- may have outdone them all. Wang Guosheng, Qinghai's Communist Party boss, said commoners in the province viewed Xi as a "living Bodhisattva", someone on the path to become a Buddha. Xi has taken control of an array of "leading groups" in the party overseeing economic, policy, foreign affairs, national security and just about everything else -- snatching ultimate control in these areas from the government itself, according to some analysts.